The Georgios Coastal Style lamp showcases an aged white ceramic base accented with charcoal flecks and textured beige drip details. Brushed nickel hardware is paired with this piece. The round hardback shade is a white linen fabric. 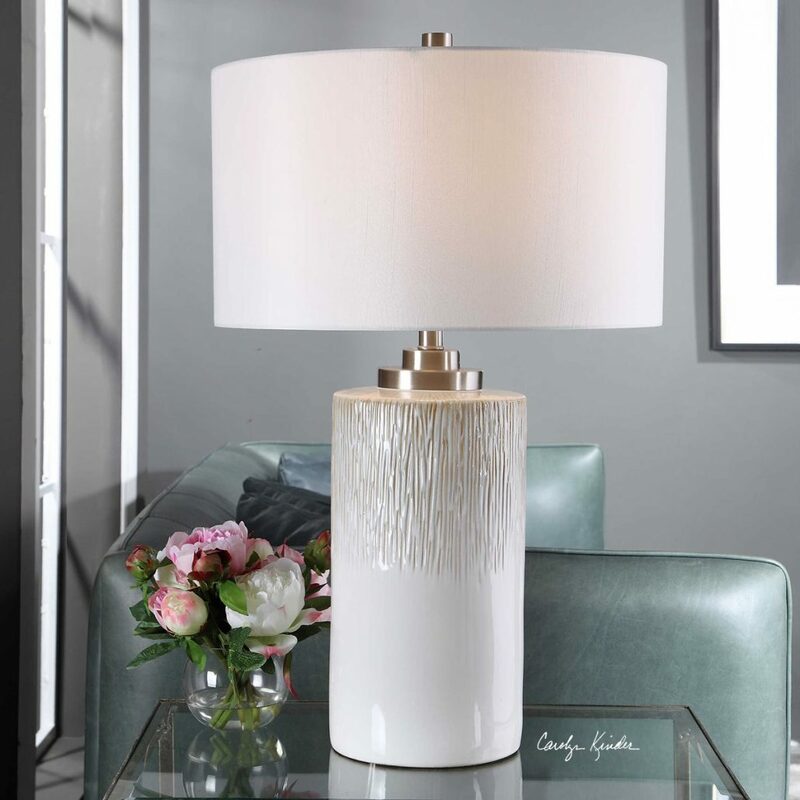 Designed by Carolyn Kinder, this lamp is often featured in Modern Coastal Style home decor. Available to trade professionals at Uttermost.com. Explore retail options for this product using Google Keywords Carolyn Kinder Georgios Coastal Style White Lamp.